Give Mom flowers that will never wilt! Free matching 18-inch baby rope chain. This bouquet inspired design features 5x2.5mm marquise gemstones. Choose one to six gemstones. Each is prong-set. 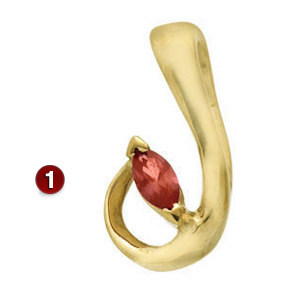 Pendant is available in white or yellow, 10k or 14k gold, with simulated or genuine birthstones.